A study of angelology, the doctrines of the unfallen angels, the fallen angels, and Satan; anthropology, a study of the creation of humanity, the material and immaterial aspects of humanity, and the Fall of humanity; and original and personal sin. 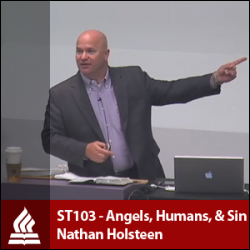 Prerequisite: ST101 Introduction to Theology. 3 hours.